This morning, CBS entertainment president Nina Tassler announced that the upcoming 12th season of Two and a Half Men will be the show’s last season. Word is that the network is planning a season-long send-off and that the show’s co-creator/executive producer Chuck Lorre will cap the comedy with an event that spans the 12th year. Many expected Two and a Half Men to be cancelled following the very public departure of Charlie Sheen but it continued to prosper for the network and its studio, Warner Bros, with the arrival of Ashton Kutcher. The show is very expensive to produce however and the ratings have been dipping over the past few years. It’s currently CBS’ fourth-highest rated comedy. What do you think? Do you agree with the decision to end the show or do you think they should make a 13th season instead? Who would you like to see return in season 12? More about: Two and a Half Men, Two and a Half Men: canceled or renewed? Yes, Charlie Sheen was/is an immature douche, but without him, the show couldn’t survive. Kutcher didn’t fit. The series should have been canceled instead of firing Sheen. I’m sure Charlie was giddy at the news of the cancellation. LOVE the show! Was so hoping Charlie would come back for season 13!!!! YES. WE NEED another season!! PLEASE!!! 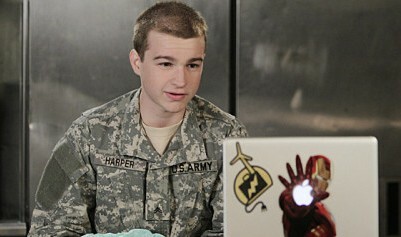 please do not cancel two And A Half Men. It is one of my favorite shows. I like it so much better without Charlie’s charter. It is such a shame that the show is going to ending. I love all the characters that are on the show. I think Kutchers addition to the show was a great choice for the show to continue and if Angus T. Jones wants to quit, just write him off of the show. He isn’t on the show much anymore anyway that I dropping him wouldn’t make a difference as far as I’m concerned. I just wish the show would have higher rating so it could stay on. In my book two and a half men is the GREATEST. The show hasn’t been the same since Sheen left. In the final two seasons with Sheen you could tell he was bitter in his performance and something had to give. I do like Kutcher but his character is whiny. Alan (Jon Cryer) is a fantastic comedic actor but in recent years his character hasn’t developed but gone in reverse. He went from being a real person with issues to a cartoon character that doesn’t have a clue or worth. I watch the show but haven’t been impressed for quite some time. I’m bummed, I love the show!